Never Mind The Paddlesnappers… – Home of the Official Accrington Stanley Supporters' Club. Ah, Capetown. A port city on South Africa’s southwest coast, on a peninsula in the shadow of Table Mountain. Slowly rotating cable cars climb to the mountain’s flat top, from which there are sweeping views of the city, the busy harbour and Robben Island, where the notorious prison that once held Nelson Mandela, is now a ‘living museum’. Never mind the Paddlesnappers Dragon Boat Club or the Royal Cape Yacht Club ; Not for Anthony Cape Town Cricket Club or the Harley Davidson Club. 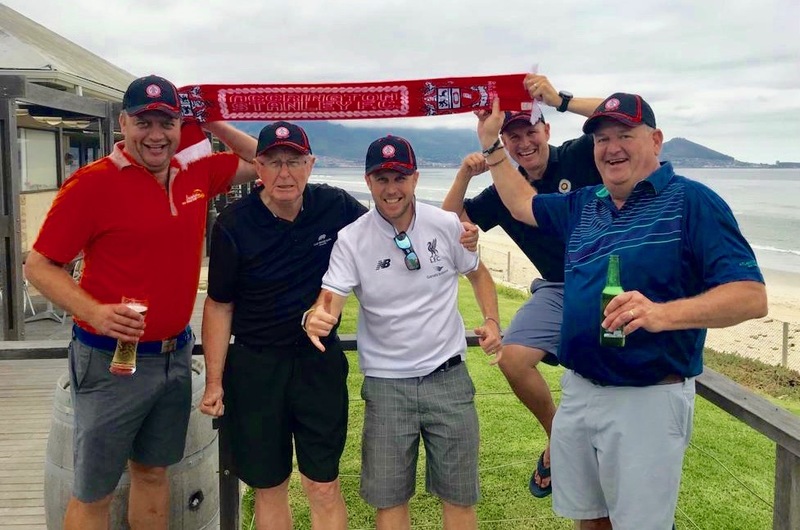 What Capetown needed, he decided, was a branch of The Official Accrington Stanley Supporters’ Club. Cut to February 2019. It’s the height of the South African summer, (albeit on a bit of a cloudy day) and the OASSC(SA) holds its inaugural meeting at the chic Milnerton Golf Club and Anthony welcomes three new members: Wynne Odgers, Rolad Ord and Aad Den Hartog. (And Anthony’s dad, Steven, who’s out there on his hols). So there you are, job done, mission accomplished. We wish OASSC(SA) every success: may its members, (in the best possible way), go forth and multiply. (And by the way, what a location! In terms of scenic appeal, it’s right up theer wit’ Coppice!